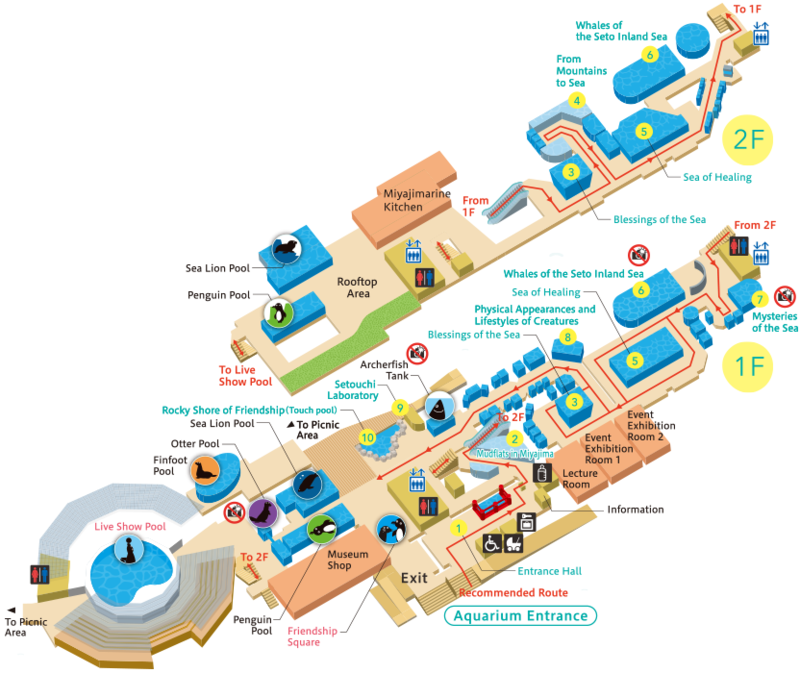 Opening hours 9:00 - 17:00 *Aquarium reception closes at 4pm. 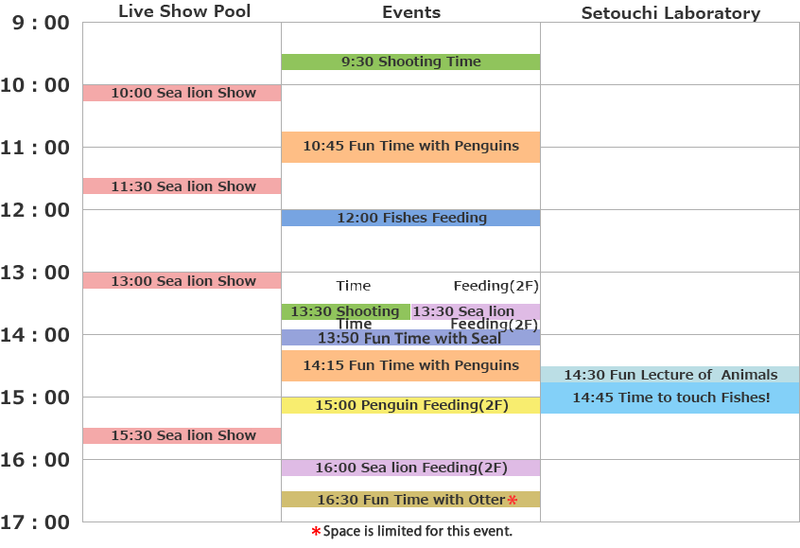 9:00 - 17:00 *Aquarium reception closes at 4pm. 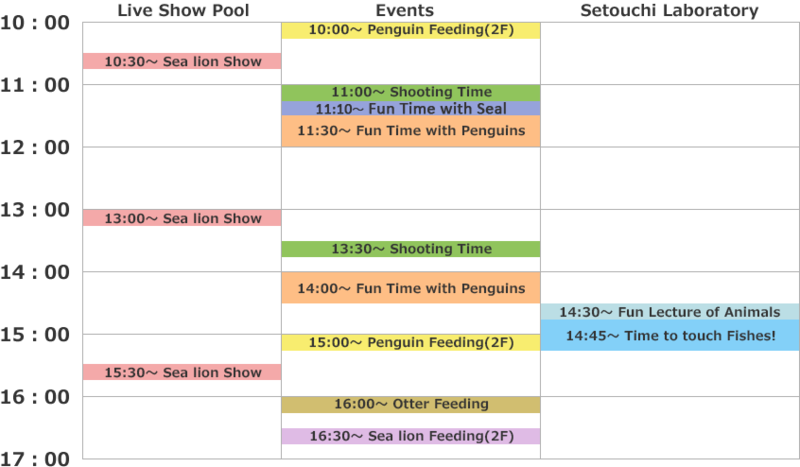 * School rates are applied to student groups who visit Miyajima Public Aquarium for school events such as excursions or trips. School teachers or staff who lead such student groups are admitted free of charge. * Young children refer to preschool children aged 4 or above. * 50% exempted rates are applied to the holders of the identification booklet for physically disabled, mental disability certificate, or Nursing Handbook for People with Disabilities. Their caretakers will be exempted of charge (up to 1 caretaker per booklet/certificate/handbook holder). 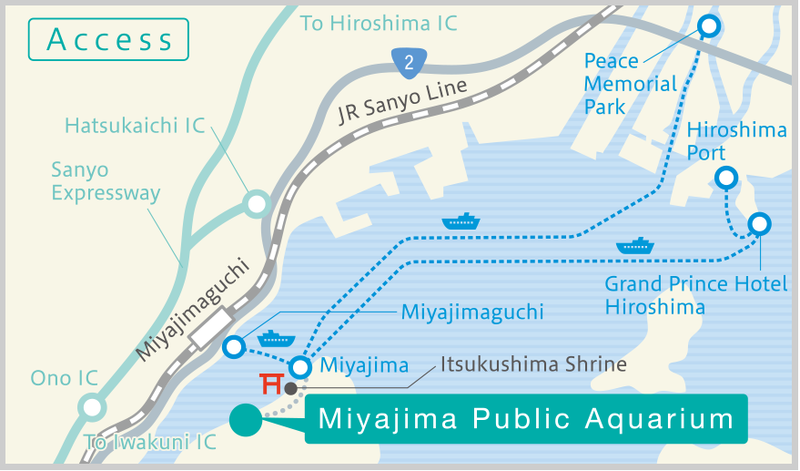 Approximately 3km from either Hatsukaichi IC or Ono IC (Sanyo Express Way or Hiroshima-Iwakuni Road) to Miyajimaguchi. ※Schedule might change or cancel Please acknowledge it. Copyright©2015Miyajima Public Aquarium. All Right Reserved.